Hanabi taikai are an unforgettable part of summer and are held throughout Japan. This photo was shot at the Nagaoka Hanabi Taikai in Niigata Prefecture. Leaving for a hanabi taikai (fireworks festival) in a yukata (informal light summer kimono), and eating a snow cone while watching massive hanabi light up the night sky is one of the most typical summer memories in Japan. Hanabi taikai are a traditional summer event held throughout Japan in July and August, and there are more than 150 every year. Japan's skyrocket hanabi taikai are a beautiful art. The skyrocket hanabi shell is called a shakudama. It's launched into the sky and bursts into a beautiful pattern. Big shakudama measure more than one meter. 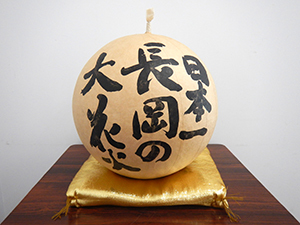 The traditional hanabi that open into a beautifully round, large and colorful shape with a loud boom make 2 or 3 circles like a flower blooming. The well-known hanabi taikai in Japan are the Omagari Hanabi Taikai in Akita Prefecture, the Tsuchiura Hanabi Taikai in Ibaraki Prefecture, and the Nagaoka Hanabi Taikai in Niigata Prefecture. 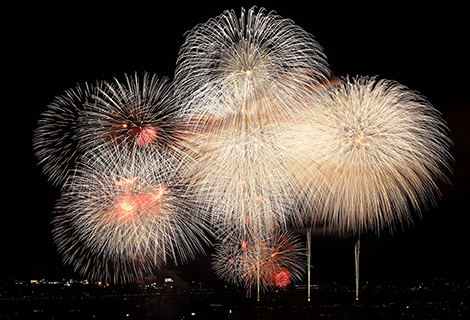 Each launches about 20,000 hanabi and 700,000 to 1,000,000 people watch the shows. Other than these big 3, there's everything from small town hanabi taikai to the huge Sumidagawa Hanabi Taikai in Tokyo that people can even watch from pleasure boats in Tokyo bay. Watching beautiful skyrocket hanabi light up the night sky has long been a Japanese tradition. Skyrocket hanabi look like a huge flower spreading out in the night sky with a mighty boom, but Japan also has hanabi for kids that are sold to families. 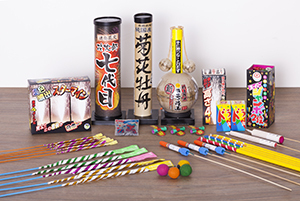 There are many kinds of handheld fireworks in Japan, and they are popular with everyone from kids to grownups. The hanabi called susuki changes color as it burns and is really beautiful. The nezumi hanabi makes a noise as it runs around. One kind of hanabi for kids is called temochi hanabi and is handheld. It shoots out sparks when the tip is lit, and there are basically 3 types: "Spark" has the powder exposed and it scatters beautifully. 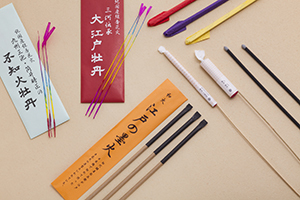 "Susuki" comes in a long paper tube and the sparks change color as it is burning. And, "senko hanabi" is held straight down and makes a small fireball that sparkles quietly for a while. 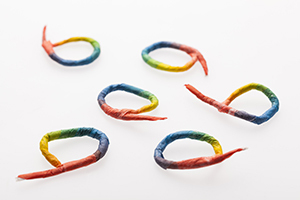 They are easy for little kids to use, and there's even a fun game played with senko hanabi. The game starts when they are lit, and each senko hanabi is held still and protected from the wind to see whose little fireball sparkles longest. Another kind of hanabi for kids is set up on the ground and shoots out a fountain of sparks when lit. Two more types that people like because of the way they move are nezumi (mouse) that runs fast and spins round and round, and hebi (snake) that slithers like a snake while it's burning. There are many types of hanabi for kids and they can be bought at supermarkets and other places. Hanabi for kids can be bought individually or as a set with several different types at supermarkets and convenience stores. Choose the hanabi you use to fit the number of people or the place. Always remember to enjoy them safely! Be sure to always enjoy them with an adult, follow the instructions on the hanabi package and have buckets of water ready. 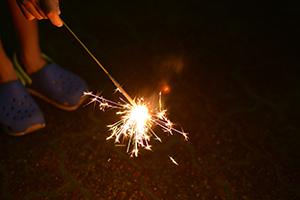 By playing with them safely, you will help preserve Japan's custom of hanabi for kids.